Just when you thought it couldn’t get any better, here comes the Swiss! Today, Wendy’s® announces the addition of an all-new Swiss Jr. Bacon Cheeseburger to the budget-friendly 4 for $4 line up1. Lovers of the original Jr. Bacon Cheeseburger 4 for $4 Meal2 now have a new way to enjoy their favorite hamburger—making the best deal in America even better. 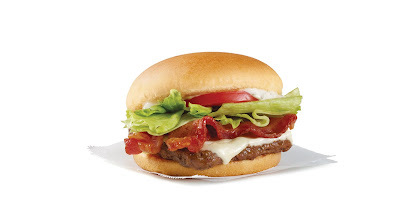 Made with fresh, never-frozen beef3 and thick-cut Applewood Smoked Bacon, the Swiss Jr. Bacon Cheeseburger is topped with hand-leafed lettuce, fresh-cut tomato, a slice of creamy Swiss and a dollop of ranch. Then to make it a 4 for $4, we add our all white-meat chicken nuggets, small fries and a small drink—all for $4. The choice is yours with the three great 4 for $4 Meal options including the Swiss Jr. Bacon Cheeseburger, Jr. Bacon Cheeseburger or Crispy Chicken BLT—and what a delicious choice it is! 2Includes choice of Jr. Bacon Cheeseburger, Crispy Chicken BLT or Swiss Jr. Bacon Cheeseburger, plus 4 piece nugget, small fries and drink. At participating Wendy’s for a limited time. 3Fresh beef available in the contiguous U.S., Alaska and Canada. The Wendy's Company (NASDAQ: WEN) is the world's third largest quick-service hamburger restaurant chain. The Wendy's system includes more than 6,500 restaurants in 29 countries and U.S. territories. For more information, visit www.aboutwendys.com.